If there is a better example of the law of unintended consequences we have never seen it. The incredibly successful battle against HIV/AIDS has saved many lives, and will no doubt continue to save many more. Once HAART (highly active antiretroviral therapy) drugs, aka cocktails, became available in 1995, there was a steep drop in the number of AIDS deaths in the US. And the drugs continued to get better. 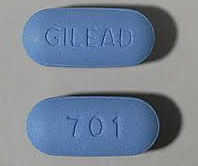 Gilead s Truvada was approved in 2004 and it later became clear that it could be used both therapeutically and. In fact, Truvada was approved by the FDA for prophylactic use in 2012. This is part of the reason for the CDC action, whose recommendation was for the use of Truvada plus condoms for high risk individuals not just the drug alone. The agency was also prompted by the continuing decline in condom use. ACSH s Dr. Josh Bloom explains: Combination therapy has produced some incredible results. These drugs essentially stop the replication of HIV to the point that the virus becomes undetectable in the blood. This accomplishes two things. The absence of the virus allows the immune system to recover and people to get healthier. The projected life spans of HIV positive people are approaching those of HIV negative people. He continues, The second benefit was largely unexpected that lower viral loads can successfully prevent transmission of the virus in serodiscordant couples (one person positive and the other negative). A 95 percent reduction in the transmission of HIV was demonstrated in serodiscordant couples in trials in Africa in 2010, and this rate is as high as 99 percent in the US. Yet the actual rate of infection in the US has not dropped. This is where human behavior comes into play. What happened? The drugs are so good that being HIV-positive has an entirely different meaning than it did a generation ago. Then it was a death sentence. Now many regard it as an inconvenience. This attitude has resulted in the rejection of very careful prevention techniques that were developed during the first two decades of the epidemic. Dr. Bloom concludes, In 1990 it would have been unimaginable to have drugs that would treat the infection so effectively, let alone prevent its transmission. But paradoxically, these advances have also indirectly caused the rise in high risk behaviors. The CDC recommendation will hopefully reduce the number of infections in spite of these behaviors. Truvada is a great drug, but it can only do so much.